Drummer David Lyttle plays a medley of songs from musician Art Blakey at the site of his childhood home in the Hill District. 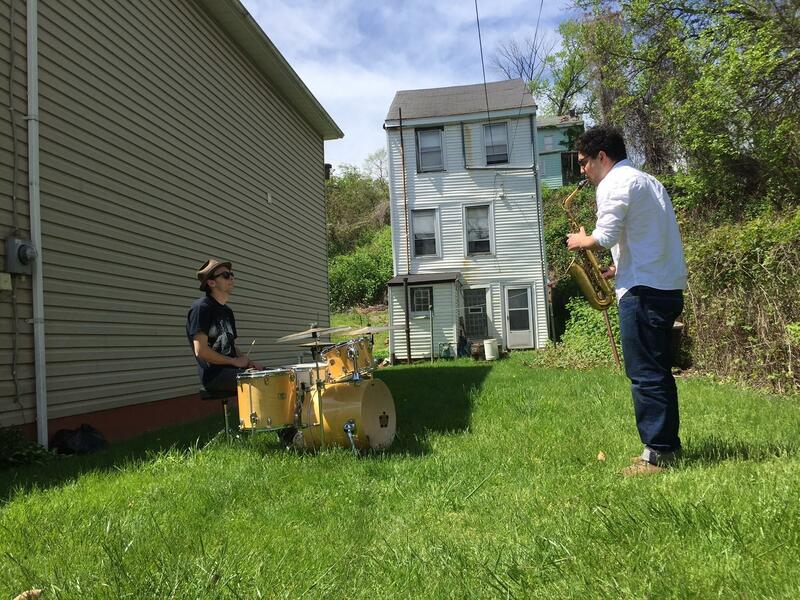 Musicians David Lyttle (left) and Tom Harrison (right) play a medley of Art Blakey jazz songs in the Hill District, on the site of Blakey's childhood home. 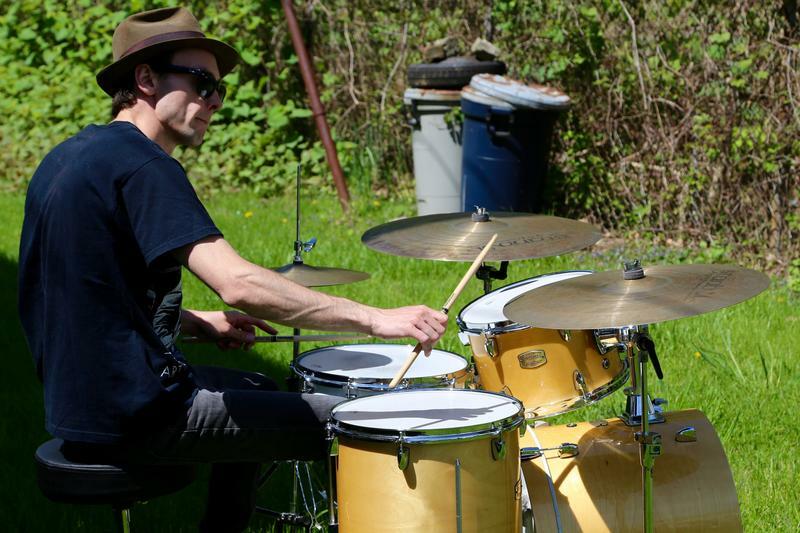 On a Friday afternoon in April, David Lyttle pieced together his drum kit on a patch of grass in Pittsburgh’s Hill District. For the past month, Lyttle has been away from his hometown in Northern Ireland for a residency traveling across the U.S. He’s playing at both unexpected places and significant landmarks. The Hill House Association helped him coordinate a performance on the lot where jazz great Art Blakey's childhood home once stood. Blakey is Lyttle's musical inspiration. Lyttle’s friend, saxophone player Tom Harrison, is joining him for a portion of his trip. For the low-key performance, the two prepared a medley of some of Blakey’s greatest hits. 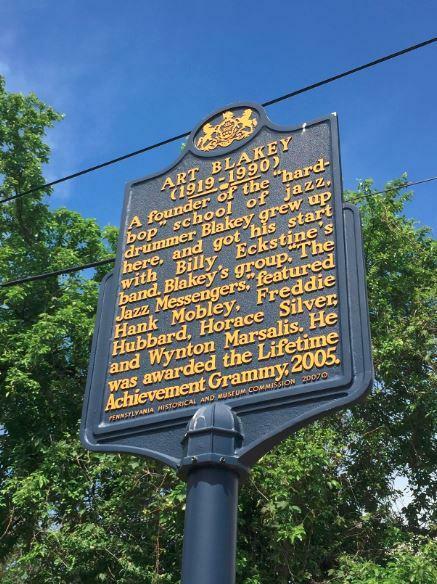 A historical marker notes the site of musician Art Blakey's childhood home in the Hill District. Hill District natives Charles Paris and Lance Hicks pulled over in their black pickup truck, after hearing the music. Lyttle had a few questions for them. Paris said when he was growing up, he used to sneak into jazz clubs to hear the music, and lots of his friends played instruments. Hicks said it’s hard to maintain that history. All that marks the vacant lot is a plaque on a pole. “If they didn’t post these monuments of historical buildings, you would never know they existed,” he said. Bob Studebaker, a longtime jazz DJ and producer of 90.5 WESA's Jazzworks, said it’s not unusual for lifelong Pittsburghers to be unaware of these cultural important locations. “It’s hard to imagine now, but [jazz] was cutting edge and radically new more than 100 years ago,” he said. At the turn of the century, Pittsburgh was a destination for jazz, especially in the Hill District. “It’s where the concentration of African Americans were in the beginning when jazz first came to Pittsburgh in the early 1900s, by a guy who was kind of a Johnny Appleseed of jazz,” Studebaker said. Fate Maribel came to Pittsburgh by riverboat, which is largely how jazz got out of New Orleans. 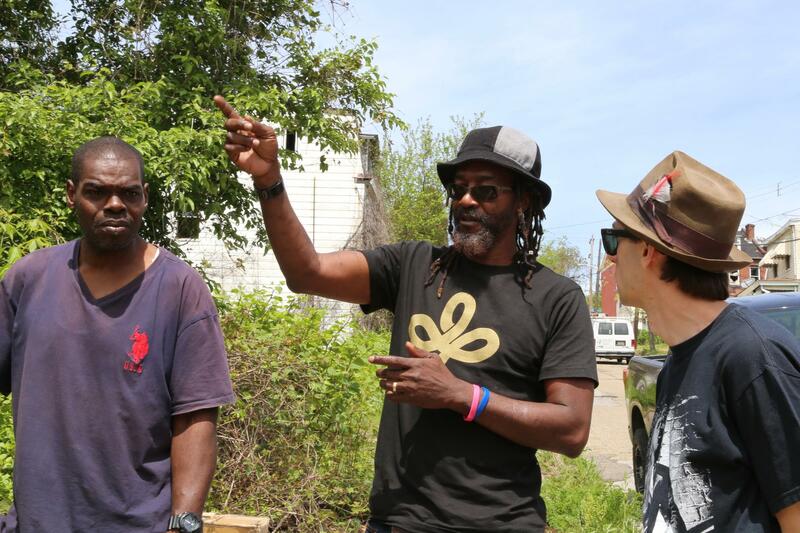 Charles Paris, left, and Lance Hicks, right, of the Hill District, stop and talk to David Lyttle at the site of Art Blakey's childhood home. In the 1920s, Pittsburgh was located along the rail line between New York and Chicago. Studebaker said musicians would stop because there were places to play, and a lively audience. He said it was a nexus for the genre. “Pretty much every time jazz moved into a new direction, it was a Pittsburgh artist who was being the catalyst for the evolution,” Studebaker said. In the late 1930s and early 1940s, that direction was bebop, which moved jazz out of the swing era. Musicians like Dizzy Gillespie, Charlie Parker and Thelonious Monk played the style. Studebaker said Art Blakey was the one who took the signature drumming style of bebop in the 1940s and refined it. At the end of the 1940s, Blakey put together a band that would evolve over decades—the Jazz Messengers. Blakey and the group’s pianist Horace Silver originated hard bop. “Hard bop just slowed it down a little bit. It was a less frenetic pace, it had a more soulful quality, which came from the influence of a gospel feel,” Studebaker said. Blakey played at the many clubs along Crawford Street and Wylie Avenue. But the history remains, which is what continues to draw people from all over the world. “Almost universally jazz musicians feel a reverence for the people who invented the music," Studebaker said. "Musicians all over the world know Pittsburgh's Hill District because that’s where Art Blakey came from. That's where Billy Strayhorn came from, Ray Brown. " David Lyttle is here is to pay tribute to the greats, but he’s also popping up and surprising people with his music to see how receptive they are, since he fears a dwindling audience for the music he loves. He said musicians need to be more proactive about engaging audiences, and breaking down barriers, especially to jazz, which he says can be misunderstood. He said in that, his residency has been a success. “I’ve learned that most people are pretty open-minded whenever they actually hear the music, but it’s getting them to come out,” Lyttle said. Studebaker said if you play it they will come. He said the Pittsburgh jazz scene is still putting out great musicians, but there’s less of a live music culture, aside from the great Roger Humphries, a contemporary drummer, and his weekly jam sessions. For Studebaker, it’ll be up to organizations like the Pittsburgh Cultural Trust, and its annual jazz festival, to keep the music going -- and accessible. 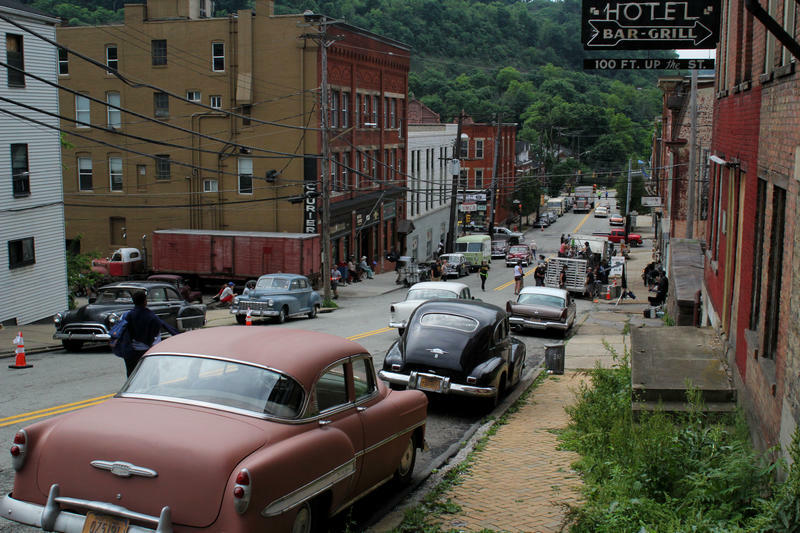 Film crews are turning back the clock to reflect the Steel City of 1957. 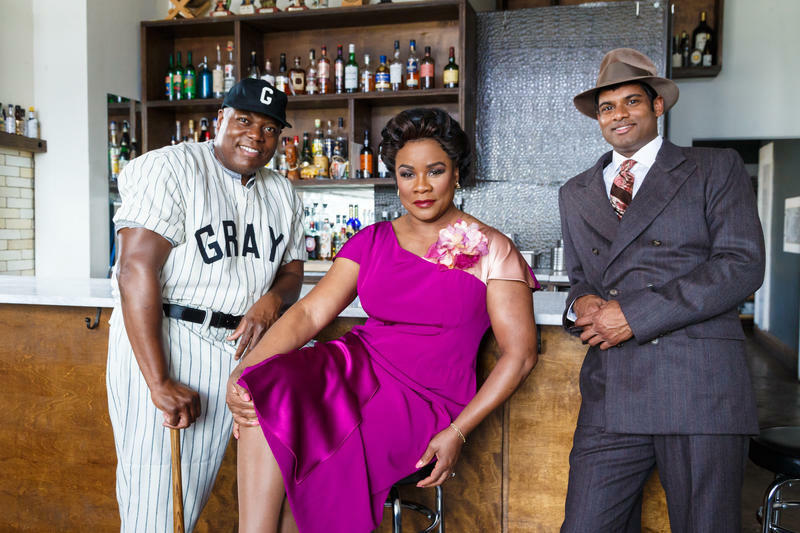 The old cars and vintage clothing come courtesy of the film adaptation of August Wilson’s Pulitzer Prize-winning "Fences," starring the play's Broadway duo, Denzel Washington and Viola Davis. Though based on events that occurred in the Hill District, the Paramount film has been on location in neighborhoods across the city, including Pittsburgh's West End early Friday. Josh Gibson is considered one of the best batters in baseball history. Now, his life and legacy are being portrayed in The Summer King, a new opera. 90.5 WESA's Katie Blackley previews the show. When Sean Gibson was first approached by a musician wanting to write an opera about his great-grandfather, he was a little skeptical.